The LNK-IP1200A Ethernet over Coaxial Converter is a new designed Ethernet Extender Device. This Device is designed to extend Ethernet Network signal and Power over existing coaxial cable, and able to live transmit multi-channel Power + Network date signal, the Max distance is up to 1200M(Power: 300M). 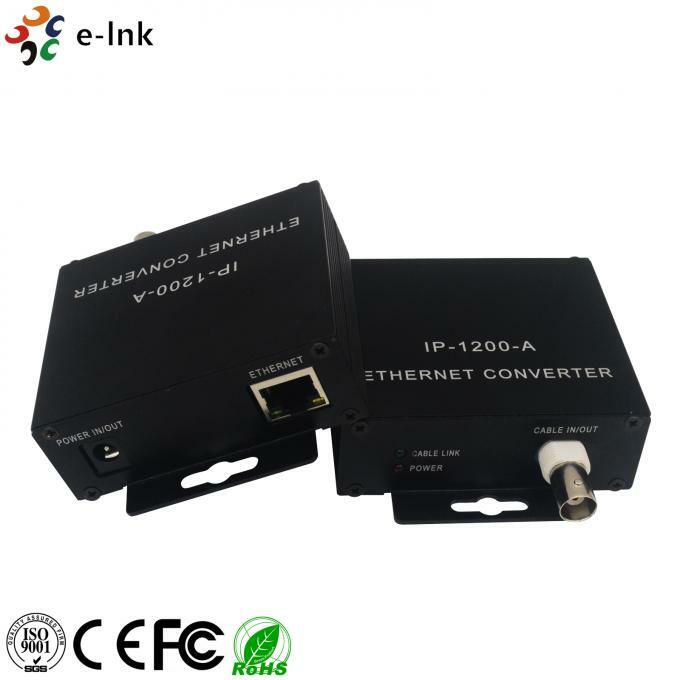 2pc BNC design, support connect 2 channel branch line at same time. The total power of electricity is 100W, each BNC max is 50W. Network max baud-rate is up to 100Mbps. It has excellent lightning protection and Anti-interference. Inbuilt Industry level intelligent auto-monitoring module (this function is optional), this function can make the device intelligent detect circuit individually, all time automatically detect network communication link exceptional situation. If any link is abnormal, it make the device recover to link the communication automatically, ensure the network communication link data transmission stably. Really realize never loss network connection, never crash industry network transmission. Guarantee the security of surveillance zone. These series products are widely used in CCTV surveillance and remote network extension. Input Voltage: DC12V~80V (POE: DC44V~58V). 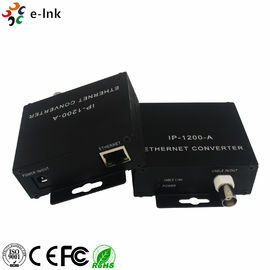 Support Power Over Coax & Power over Ethernet at same time. Operation: Use the existing network, easy to install, Plug & Play. Convenient and efficient. Excellent Protection: Built-in transient protection; industrial temperature range. Excellent lightning protection and strongly Anti-interference, surge protection.